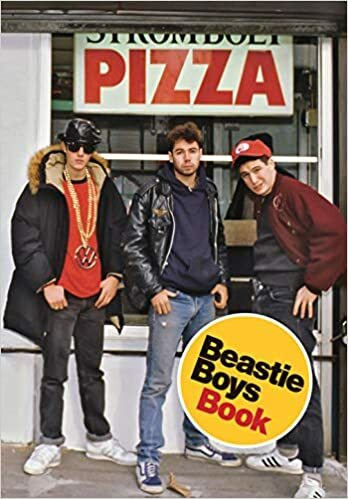 Beastie Boys Book – loudlatinlaughing – Euge! Euge! Mike Diamond and Adam Horovitz document the group in Yauch’s absence, filling hundreds of pages with memories, photos, stories. Other essays flesh out the scene, like Luc Sante‘s vivid description of NYC in 1981. Even tiny addendum contain marvels, like MD’s note about Tania Aebi (whose book about being the youngest person to sail around the world I read in 2003) being a friend of his family. This is a truly magical book. It’s a sweet, open-hearted, candid look back at their rise and conquest of the world. Although the mic is passed between Horovitz and Diamond throughout the book, Yauch comes through as a genius over and over with bizarro ideas that elevated their sound (upside down drum machine recording, 10 foot long cardboard tubes to amp up the drum sound, a million other examples). It’s a time machine back to the 80s, but also gives you a front row seat to how people can live wildly creative and successful lives. Amy Poehler’s essay has a bit about her riding her bike around Chicago finding comfort in the lyric “Be true to yourself and you will never fail,” and my heart explodes thinking about the number of people they’ve had a positive impact on. I’ll be thinking about this one for a long time, I imagine. Author lzPosted on January 21, 2019 January 21, 2019 Categories Reading ArchiveTags YES!